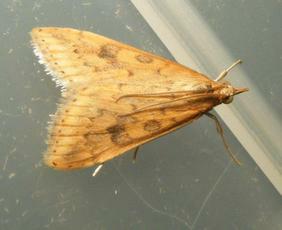 Wingspan 18 to 22 mm. 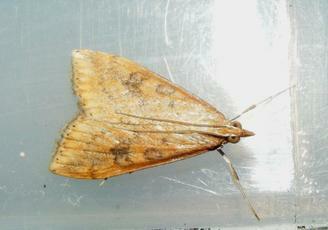 The rusty orange ground colour and blackish markings on the forewing help to identify this species. 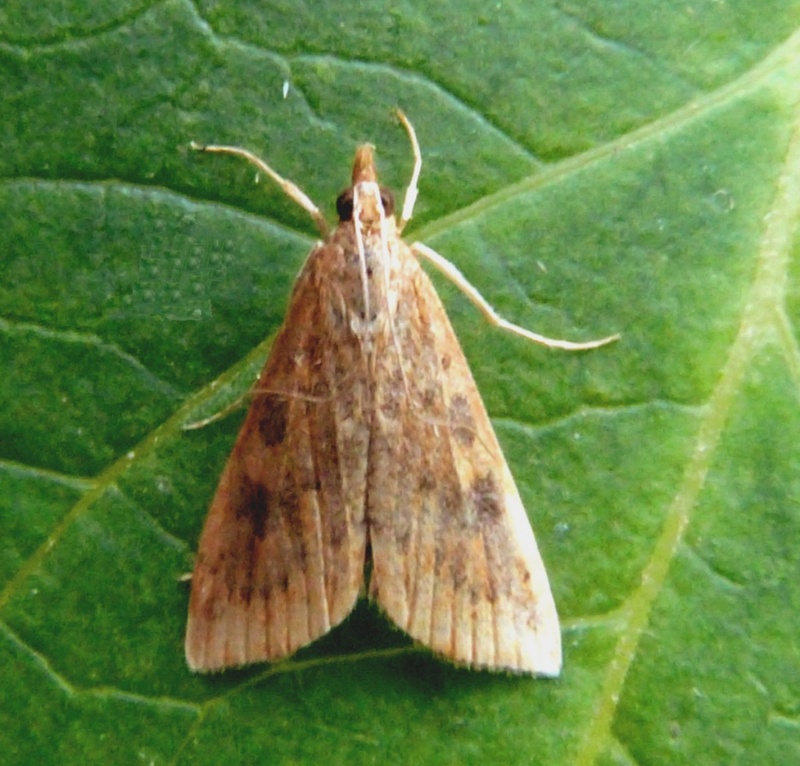 Like several of its congeners, it shows distinctively whitish legs. 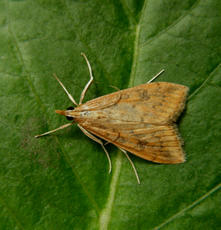 Can occur at almost any time of the year, sometimes in large influxes with other migrants. 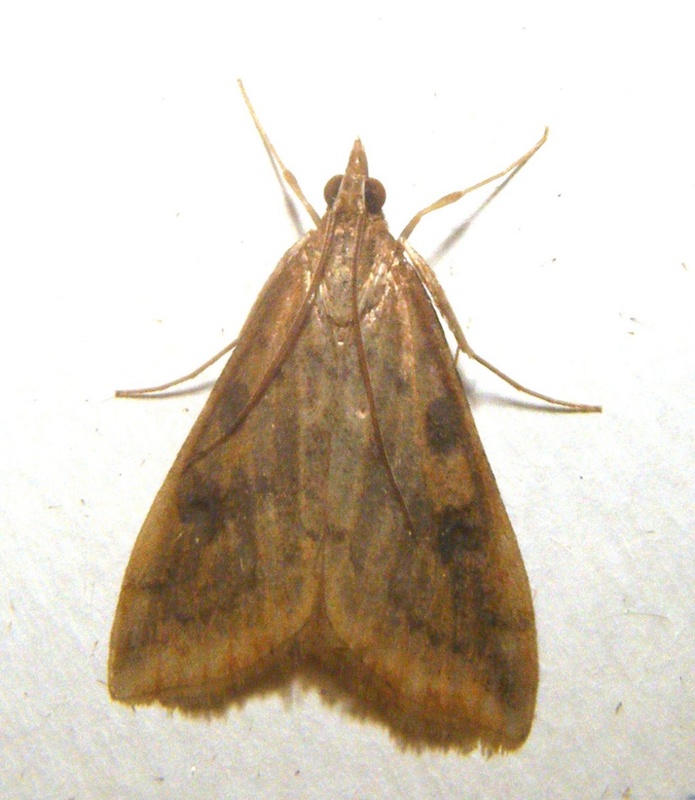 The adult flies at night and comes to light. 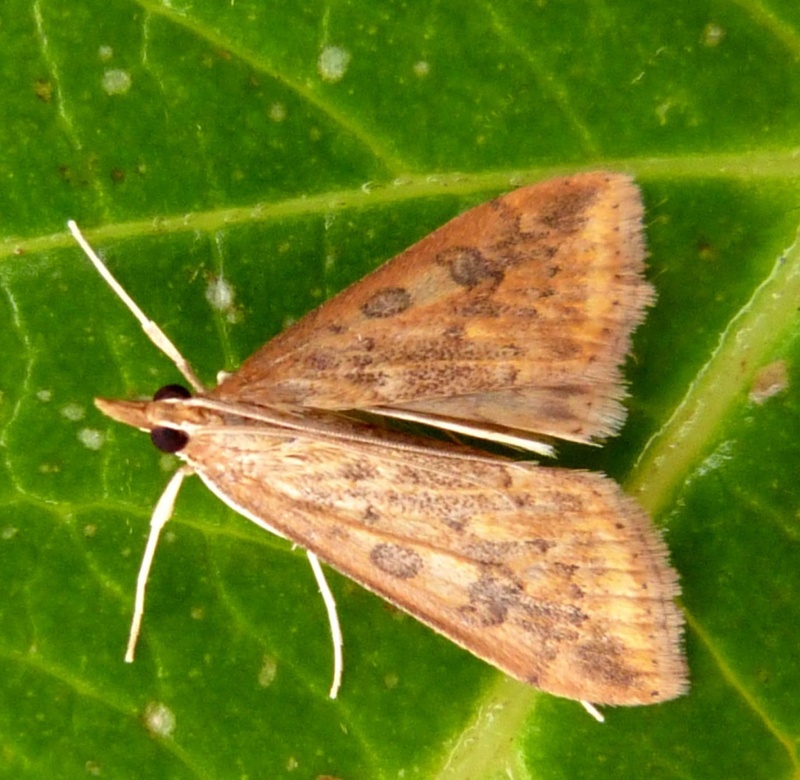 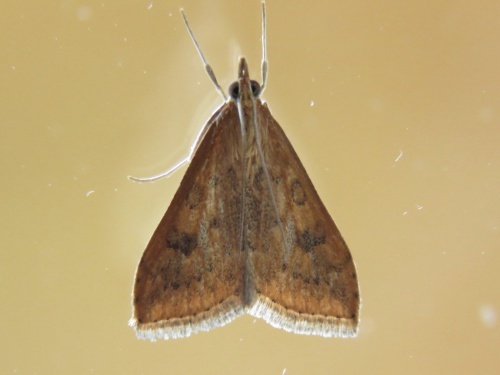 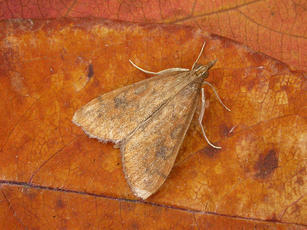 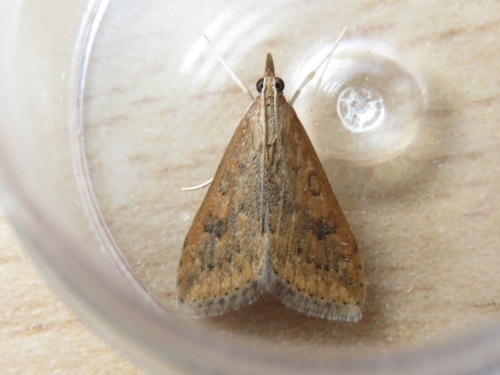 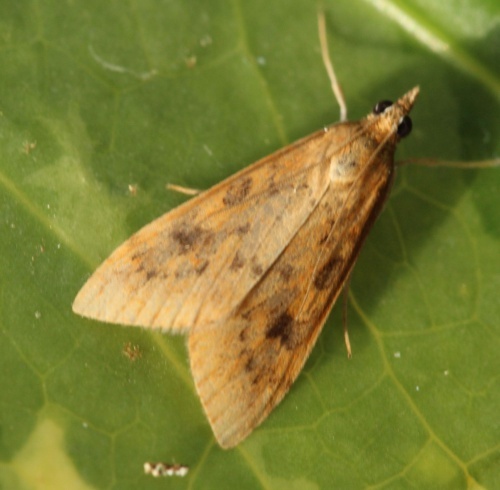 In Britain this moth is mainly a migrant species. 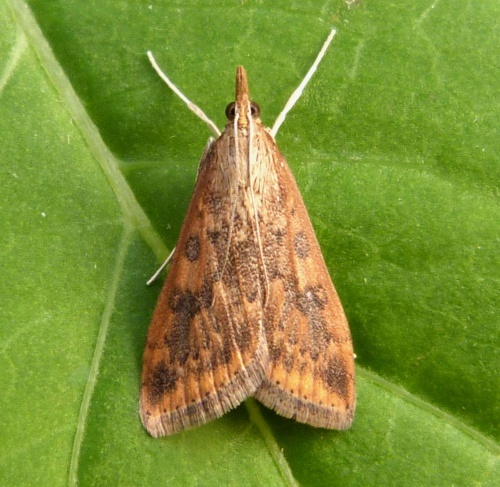 Occurring over much of Britain in varying numbers as a migrant species. In the Butterfly Conservation’s Microlepidoptera Report 2011 this species was classified as Migrant. Numbers vary in Leicestershire and Rutland. 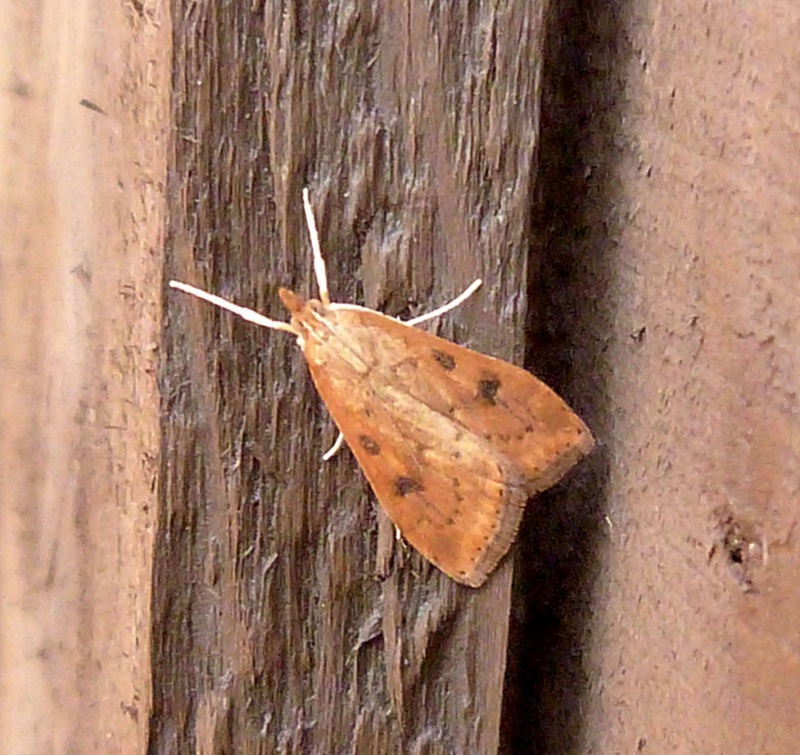 Fairly frequent but not common in Leicestershire and Rutland. 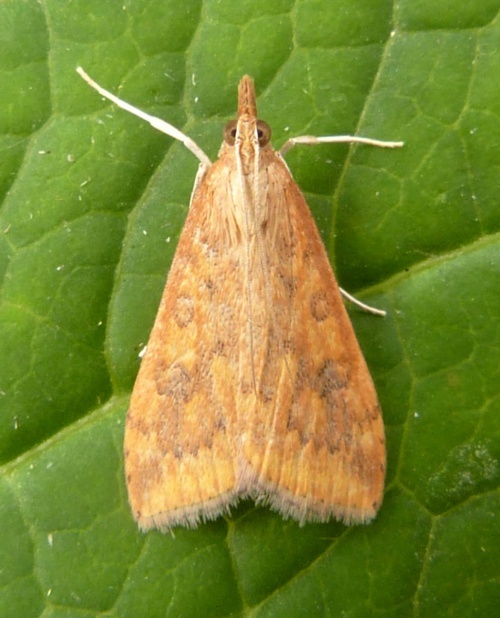 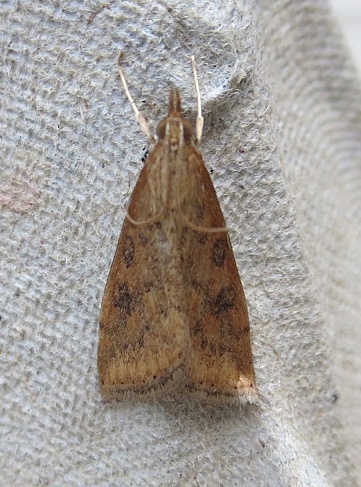 L&R Moth Group status = B (scarce resident or restricted distribution or regular migrant).